This study introduces a short measure for burnout (the Bergen Burnout Inventory, BBI) and examines its validity and reliability among managers in Finland and Estonia by means of confirmatory factor analysis. Burnout comprises three dimensions: (1) exhaustion at work (emotional component), (2) cynicism toward the meaning of work (cognitive component), and (3) the sense of inadequacy at work (behavioral component). A total of 742 young Finnish managers and 414 Estonian managers responded to burnout (BBI) and effort–reward imbalance (ERI) scales. The results showed that the three-factor solution for burnout, compared to the one- or two-factor solutions, fitted the data best and gave the best reliability indices. The three theoretically derived dimensions of burnout were closely related but separate constructs. The BBI also had high item scale reliabilities among the managers in both countries. Finally, the effort–reward imbalance (ERI) model and the three dimensions of burnout had similar associations among Finnish and Estonian managers providing evidence for the concurrent validity of the BBI. That is, high effort was related to high exhaustion and high cynicism. High reward was related to low exhaustion, but especially to low cynicism and low inadequacy. High overcommitment was related particularly to high exhaustion, but also to high cynicism and high inadequacy. 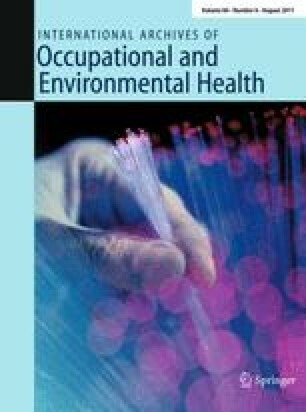 The BBI can be used for the measurement of burnout in both research and occupational health contexts. The study has been supported by The Finnish Work Environment Fund (grant no. 101135 105363) and Estonian Business School.